The City of Hagerman, which gives the Hagerman valley its name, was originally the site of a stagecoach stop, on the Overland Trail Route, along the Oregon Trail. Looking for a home in beautiful Southern Idaho? Contact 1000 Springs Realty today! 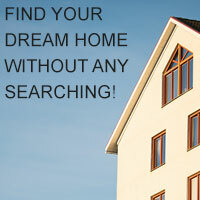 We can help you find the perfect southern Idaho home of your dreams! 1000 Springs Realty is finishing up on another great year. We have been so blessed to work close to home and help so many clients with their real estate needs. Some big changes have happened recently, Cliff Jensen has retired and Suzanne is working part time. Because of this change it has given us the opportunity to add a couple more agents. I am very excited to announce that Grant Cooke and Phil Gossi have joined our firm. These two agents are going to bring a great mix to the office. Grant has had a successful career in construction management and this will serve him well in our industry. Phil Gossi has a good agriculture background in cattle, fish and farming which will also really benefit some of our clients. We hope to see you soon, drop by and say hello.. Merry Christmas to all. It’s going to be a robust year in Hagerman. Another great weekend in Hagerman. Real Estate is on the move. Birds Birds Everywhere, what a place to live.